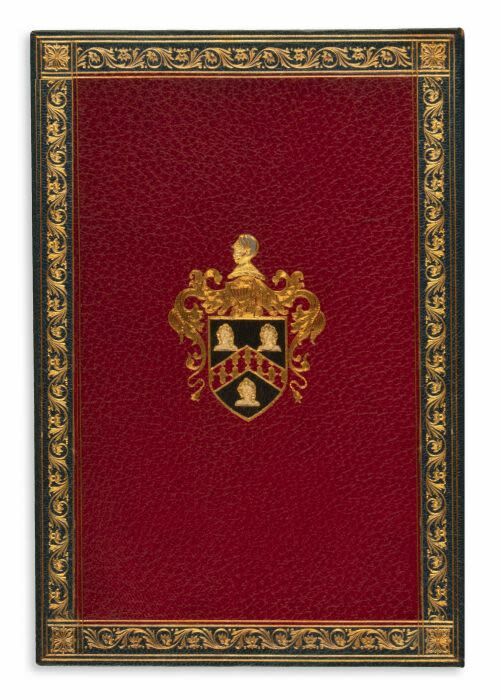 Bound by MacDonald in full blue crushed morocco with red morocco doublures including the Woolworth family coat-of-arms in gilt and multi-color leather onlay, silk endleaves, all edges gilt. Frontispiece portrait. pp. 76. Possibly Woolworth’s own copy.